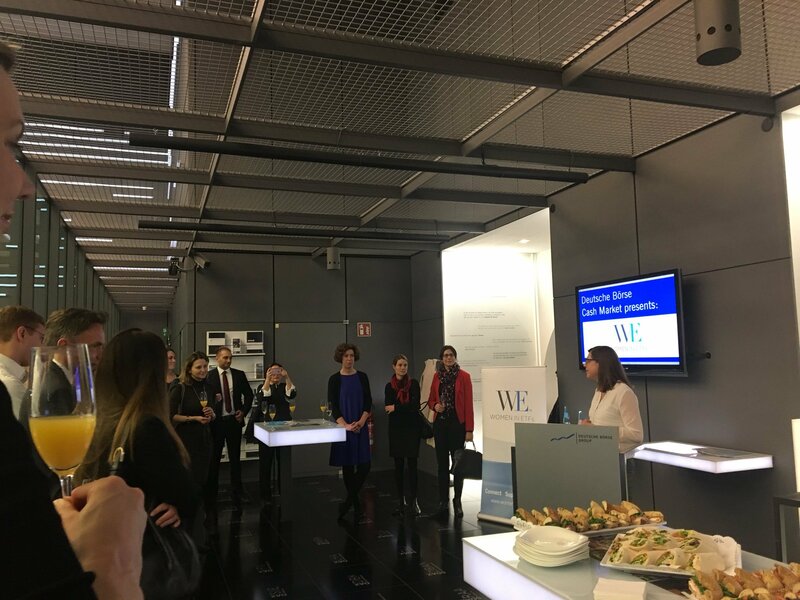 On March 9th, ETF industry professionals and executives gathered at the Deutsche Börse AG to close trading in support of International Women's Day 2018. The Deutsche Börse bell ringing was part of a global collaboration of 65 stock exchanges around the world to “Ring the Bell for Gender Equality”. The events are a partnership between Women in ETFs, UN Global Compact, UN Women, the Sustainable Stock Exchanges (SSE) Initiative, the IFC, and the World Federation of Stock Exchanges, to raise awareness about the business case for women’s economic empowerment and the opportunities for the private sector to advance gender equality and sustainable development.